COLLEGEMOM has no current links. 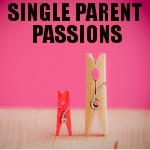 single mom seeks her special someone I am a single mom of two kids. I live in durham oregon. Between tigard and tualatin. I am 29 years old. I am looking for a LTR ( long term relationship).